You would think that in two weeks you could begin to crack a code, right? Well, that’s not the case! 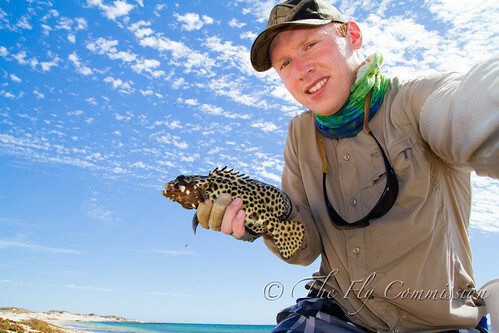 I’ve come to the conclusion that shore fly fishing in Exmouth is pretty hard and for a number of reasons too. The first and perhaps the most pertinent is the fact that you are walking on sand all day, it really takes it out of you. Not to mention the heat which is compounded by the fact I have to cover up due to my impressively pale Scottish complexion! Other than that it is a case of walking and watching, hoping to see a fish in the water or a pod of fish or any clues that might give away the presence of a predator. So far I’ve learned that there are a few things that may indicate the location of a fish besides actually seeing the moving shadow or grey smudge mooching along the bottom in the case of the bonefish. 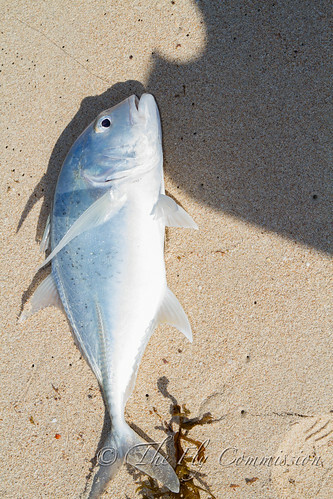 The first is rays and sharks often have fish tailgaiting them hoovering up any scraps that the bigger animals may dislodge be it small fish or shrimps or whatever else may be living in the sand! Second is structure. 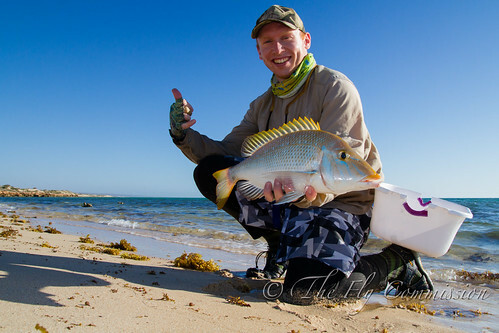 Reefs, weed beds, bommies, gutters, jetties, anything really seems to attract fish in all shapes and sizes. Third is airbourne animals, look out for terns doing there thing, pelicans, seagulls – they’re looking for the same thing you are (I’ll return to this point later). And lastly look for surface disturbance, anything out of the ordinary, splashes, foam, anything that looks like it shouldn’t be there. When I review this list it makes a lot of sense to me that the shoreline fly fishing is difficult here as I’m trying my best to find good fish, looking for these subtle clues and not just flogging the water all day for small reef fish, although I do do that when all else fails! I had a quiet end to last week taking a few days out to tie some flies, sort out some plans for the following week and catch up on some much needed sleep after a few 5am starts! At the weekend the Boneheads group had their final meal and that was me back on my own for the fishing. It was great to meet up with them, a great bunch of guys, very generous with information and offering me lifts to join them with their fishing. If any of you read this, thanks guys! The following afternoon’s fishing was great with a number of small GTs, charlie courts, spangled emperors and this one nice spanglie caught. I also got to witness the sun setting over the ocean for the first time. It is absolutely amazing. The vibrance of the reds and oranges painting the sky above the Indian Ocean was something to behold. It’s also quite a sight to see just how fast the sun disappears below the horizon, I’ll get some photos and videos of this over the next couple weeks. The drive home was horrible though, a long way and a very slow cruising speed thanks to these guys littering the road. Day two had a lot of promise. This time I had checked the weather, winds had to be very marginal, ideal! I arrived at my chosen location on the incoming tide, about as perfect as things could get or so I thought. An hour passed and I hadn’t seen anything or even had a sniff. Next thing I see some dark shadows near the surface moving slowing along quite far out. They weren’t mullet, I knew that much. Therefore I stood a chance at catching them. I swam out to an oyster stack I could stand on and get a cast from. I launched a cast, a stripped the clouser, they followed but nothing took and that’s when I saw… they were squid! 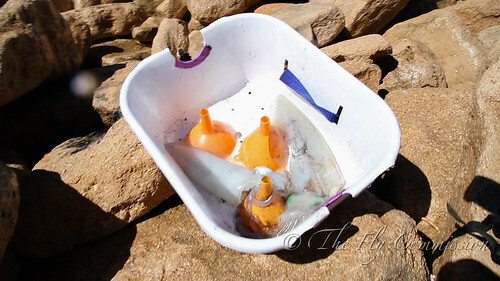 I’d found a shoal of squid, I might as well catch them I thought! The hilarity that followed culminated in me catching two squid on the fly and fighting many more that just grabbed the fly with their tentacles and let go again. It was strangely good fun and they made for a nice dinner that evening. They’re very worthwhile catching if you get a chance, the colours on them are absolutely amazing, vibrant greens, dark browns and different patterns depending on their mood and background, mesmorising creatures. After the squid I had a couple small charlie courts and saw a school of something big cruising along very quickly. A sprint, followed by a swim to an oyster stack saw me eventually launch a cast to what looked like empty water as the fish had already passed through. As the fly got closer to me I saw a fish following, a long, slender body, dark on top. He followed all the way to about 15′ from me but didn’t take. As he swam off I managed to get a second follow but no hookup. It definitely wasn’t a queenie, maybe a school mackerel? I was in very deep water so it’s possible. My biggest issue is I don’t know what the dam fish are! That was the excitement for that day, fairly uneventful but a new species on the list. Today followed the familiar pattern of not very much interspersed with selected great moments. 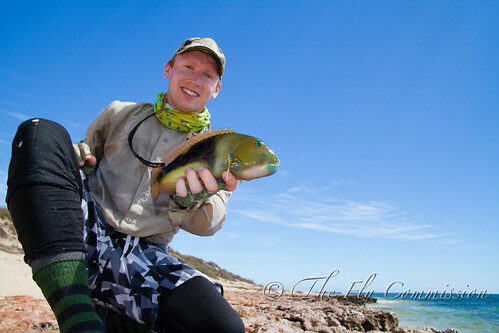 First up I was flogging some deep rocky areas that yielded very little until I hooked into this tuskfish. 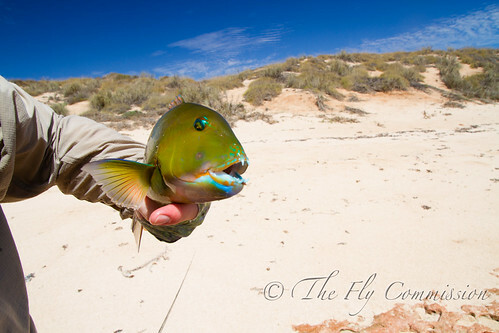 What a brilliant fish, fought very hard, has amazing colours and sports a great set of gnashers. 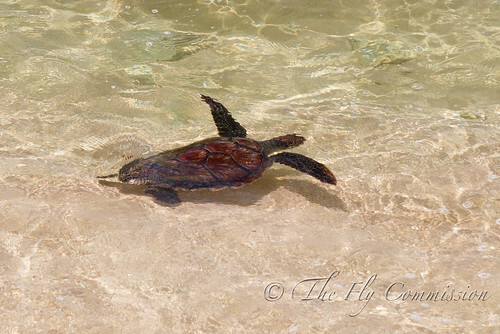 After that all I saw were turtles, this is just a little one but there were two loggerheads right up in the shallows. They were enormous! Other than this I had a very uneventful few hours covering a lot of ground and catching absolutely nothing apart from this cool looking reef species. Late this afternoon I made it back to the car knackered, sweating and hungry. I sat around for a few minutes having a drink and a bite to eat and debating on what to do. I eventually decided I’d have a look again at the bay in front of me and just as I stood up I saw a tern dive behind the sand dunes. They only go vertical for one reason! 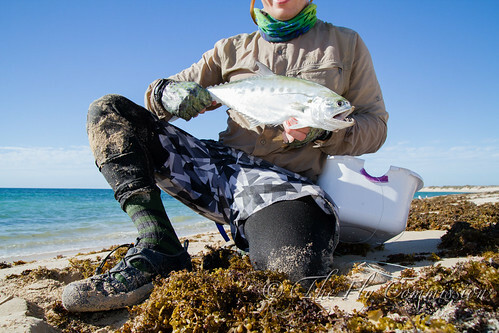 I grabbed my rod and sprinted over the dunes with a new found spark of energy and was graced by the sight of scattering baitfish creating a lot of surface commotion just behind the surf covering an area about 1m off the shore to 20m out. What followed was outstanding with about 6 fish landed in as many casts. First up was a GT, the biggest I’ve caught so far but still a mere baby in GT terms. It fought so hard I’m almost scared to think about what a big one must be like! The rest of the fish were all Queenies and hammered the white clouser moving and even dead drifting on landing. It was absolute mayhem and what really made it special was there were three guys bait fishing 50m along the shore catching nothing! I rocked up and couldn’t stop catching fish, it certainly gave me a sinister happiness inside that only the elitist fly fisher can understand. My only regret from the session was not tying on a crease fly and going for surface takes although most of the fish did get airbourne. The action died off just as quickly as I had found it and as soon as the surface commotion was gone so to were the fish. I packed up fairly soon after that but what an afternoon! It’s been a great few days but it is all about either finding cruising fish or finding the bait. If you find either of these you are laughing. Tides also play a huge part and I’ve noticed the best times seem to be where the currents are strongest so the couple hours before high and low although there are no hard and fast rules. The downside is the high water seems to colour the water sometimes if enough sand is stirred though whilst an annoyance for us sight fishing purists it doesn’t seem to put the fish off that much, well, not if today is anything to go by. I rocked up and couldn’t stop catching fish, it certainly gave me a sinister happiness inside that only the elitist fly fisher can understand.”!!! And just who would the elitist fly fisher be???? Andrew and I’ll bring you back down to planet earth when we next visit the Lake. Fishing looks amazing tho! The closest I have to fishing over here is a copy of Trout and Salmon!!! Better than nothing!! I’m still hunting for big things! Good reply! Yes, always good to beat the bait and spinners with a fly!! Mind you, I often find that a stick of dynamite can work wonders too when nothing else is working!! When are you due back in the UK and we can hopfully merge diaries and do some fishing? 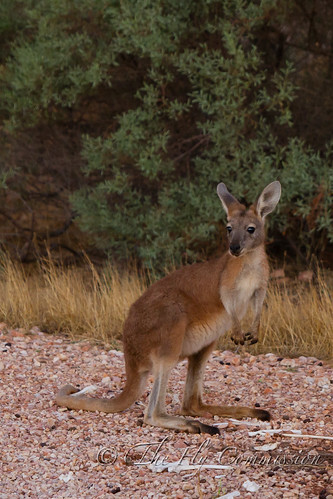 I had an aussie friend recommend grenades recently too! haha. I’m back on 22nd May, definitely organise some fishing over the summer, said that a few times but will ensure it happens! I think that you need to double check the photographs in your blog!!! Something fishy going on I suspect!! Not unless she was one of your special catches!! Lucky you! !